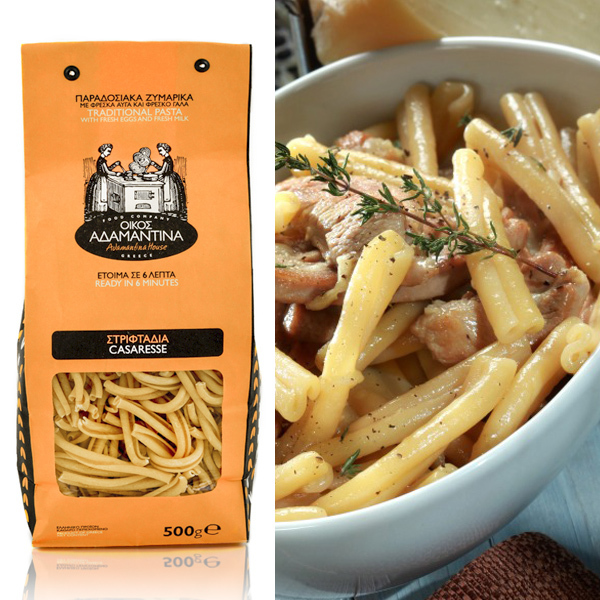 Thick, handmade pasta with fresh milk, fresh eggs, semolina, flour, and salt. The thickness and shape of the pasta allows excellent sauce texture. 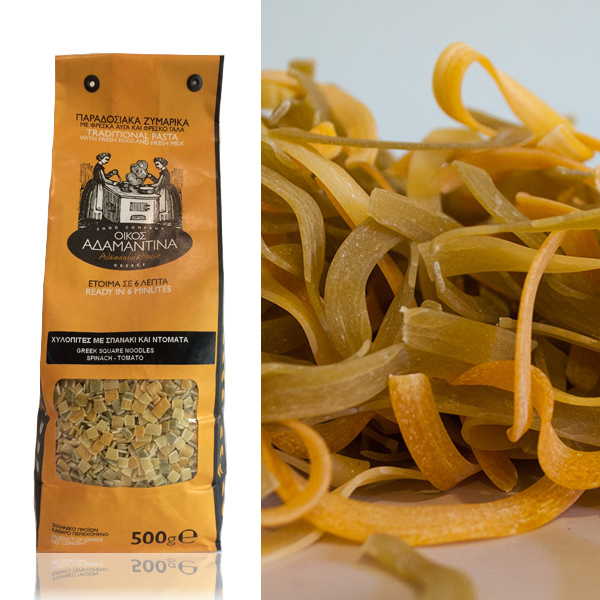 The thickness and shape of the pasta allows excellent sauce texture.”Striftadia” is a centuries-old type of Greek pasta, traditionally rolled by hand, hence its name, which in Greek means “twisted”.Great to accompany rich sauces and stews as its shape is ideal to absorb the flavours. 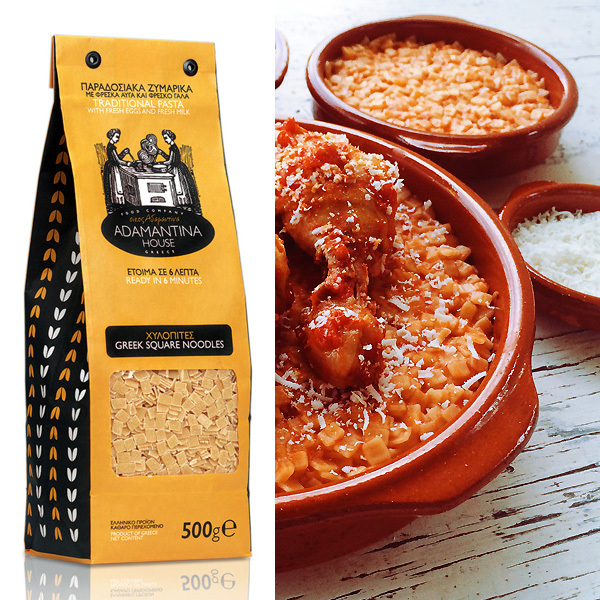 Produced in Laconia, southern Greece using only pure ingredients, free of preservatives and artificial additives. 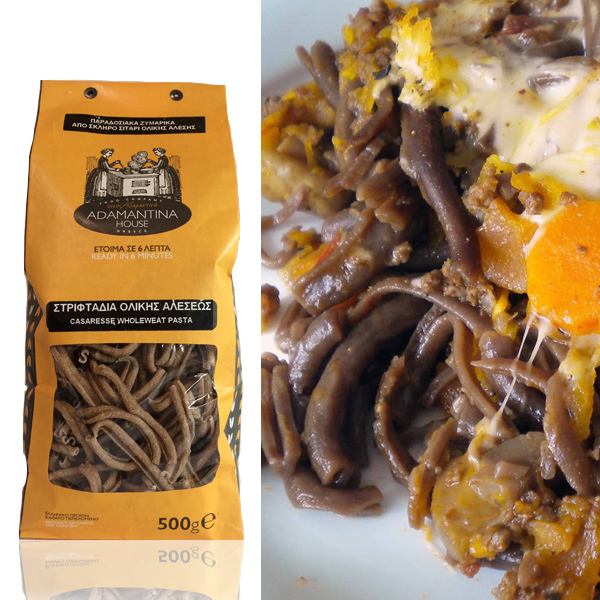 It is made with wheat, locally produced fresh sheeps milk and 4 fresh eggs per kilo of pasta. Cooking time is 5 minutes. 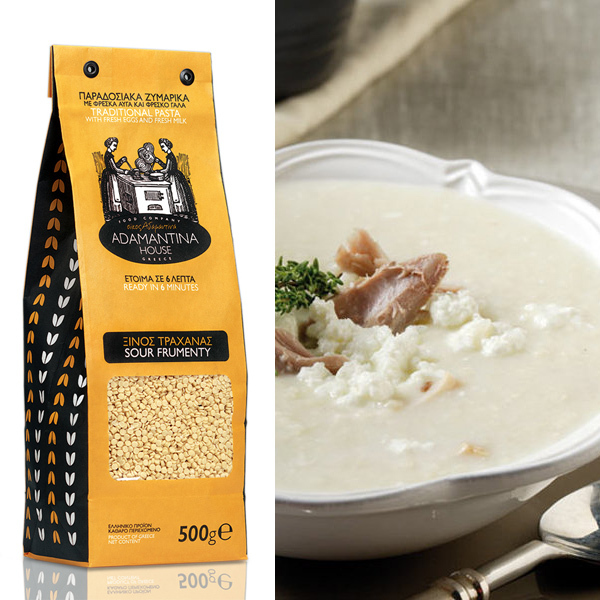 Ingredients: eggs, wheat flour, semolina, salt.